It has been many years. You look exactly the same. Eichhorst: You've grown old A230385. Surprised to see me? Setrakian: It has been many years. You look exactly the same. 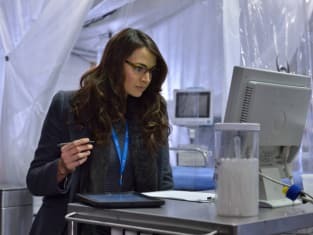 The Strain Season 1 Episode 2: "The Box"
Permalink: It has been many years. You look exactly the same. If these worms did infect the victims, then human blood should produce a tropic reaction. Permalink: If these worms did infect the victims, then human blood should produce a tropic reaction.